Rotary Zones are a collection of a number of Rotary Districts in a common geographical area. 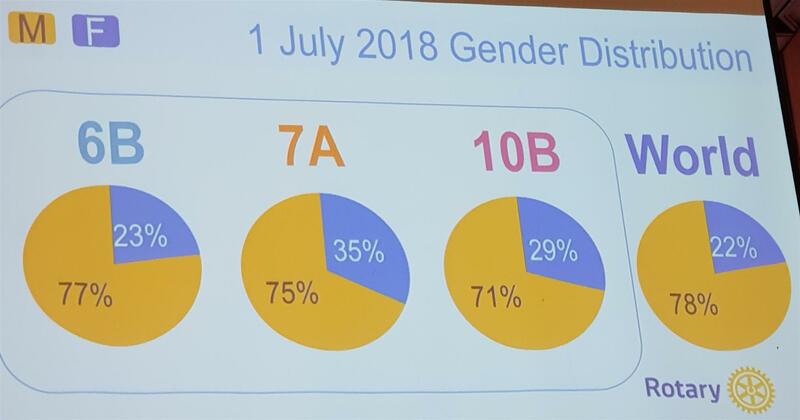 Rotary International defines the composition of the Zones and review zone membership to insure the zones have approximately equal number of members. At present, there are thirty-four Rotary Zones. An update on The Rotary Foundation and its programs. 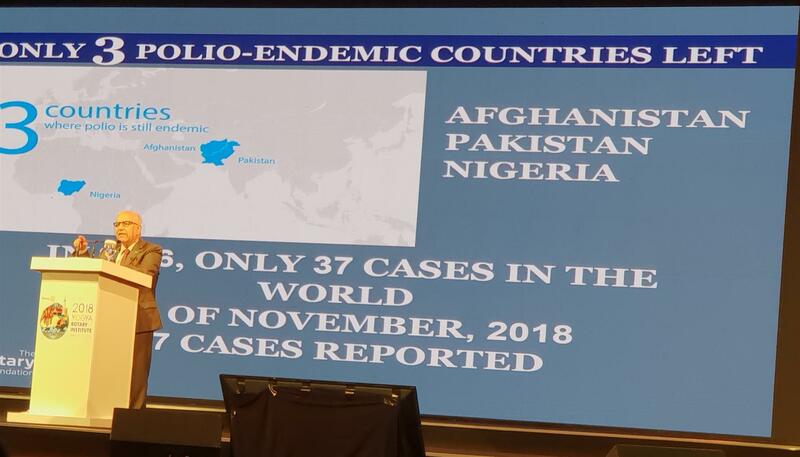 A report on our polio eradication efforts (above, right). A five-year forecast presented by a director or other Board representative. An open forum where participants can make recommendations to the Board. Local and international speakers sharing information on relevant topics. A chance to network, reconnect with friends, and find inspiration for continuing your service and leadership within your community. This year the Zone Institute for Rotary Zones 6B, 7A and 10B (Thailand's zone) was held in Yogyakarta, Indonesia. The convener for the Institute was RI Director Rafael “Raffy” Garcia III from the Philippines and the Chair of the Organizing Committee was PDG Eva Kurniaty of Indonesia. Approximately 1200 Rotarians attended this year’s Institute in Yogyakarta, at the beautiful five-star Tentrem Hotel from 30 Nov - 2 Dec.
Part of the fun of a Rotary institute is to come a few days early or linger a few days to enjoy the lovely hotel and do additional sightseeing. 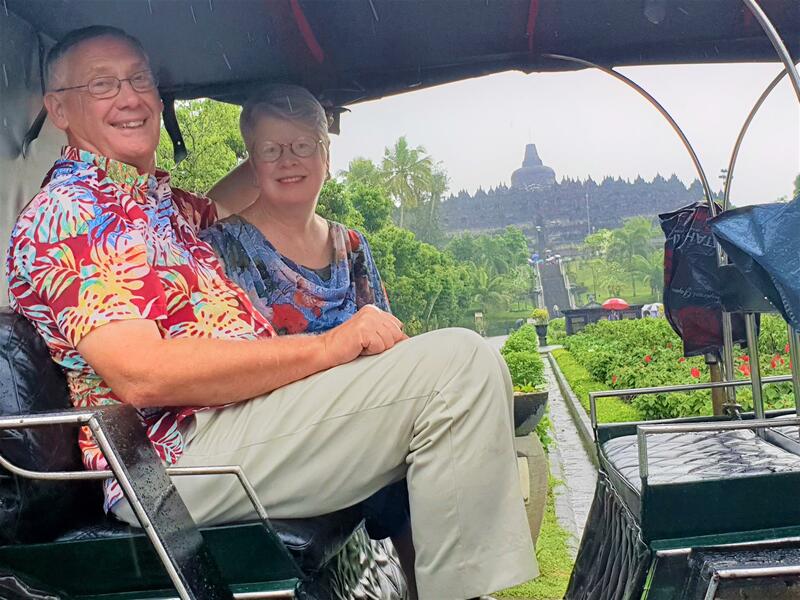 At left, Nancy and I are pictured enjoying a horse carriage ride around the grounds of the UNESCO-listed Borobudur Buddhist temple -- the best way to see this historic wonder in the rain. As part of the Institute, training seminars were held for District Governor Elects and for District Governor Nominees. In addition, they prepared for the upcoming Rotary International Assembly for DGE’s and DGN’s in January in San Diego, California. In addition, District representatives to the tri-Annual 2019 Council on Legislation met at the Institute to review items to be submitted to the upcoming Council On Legislation. Our D3360 is represented by PDG Chamnan of Rotary Club of Chiang Mai - North, our sponsoring club. The meeting opened with a colorful cultural performance and parade of flags of the countries of all participants. During the five Plenary Sessions activities included: Speech by RI President-Elect Mark Maloney, Shelter Box Disaster Relief, Council On Legislation Update, Zone membership update (right), Zone Public Image update, update on Polio, Open Q&A session with senior Rotary leadership, RI 5-Year Finance Forecast, Update on Dengue Fever Control, review of the Zone meeting and handover of Zone Institute Flag for the 2019 Institute meeting in Manila, The Philippines. General break out sessions focused on: Sharing Best Practices & Key Challenges on Membership, Sharing Best Practices & Key Challenges on Service Projects and Sharing Best Practices & Key Challenges on Public Image. The major off-site social event at this year’s Institute was dinner and cultural entertainment, both modern and traditional, on the grounds of the Prambanan Temple which is a UNESCO World Heritage Center.